In India, for industries like oil and gas, the technology used for inspection and maintenance is complex and expensive. For industries with large plants, rigs and facilities, monitoring assets to assess safety, production and maintenance is imperative. However, given the scale, especially in the oil and gas industry, these processes are expensive, complex and often risky. Industries often witness shutdowns for days together to carry out these inspections, costing them lakhs of rupees on a daily basis. In India, for industries like oil and gas, shipping and ports, the technology used for inspection and maintenance, especially underwater, is primitive and expensive and there are several limitations in terms of depth. Workers put their lives on the line to carry out these jobs. "There are some foreign products and very few service providers in India but they cater only to the deep sea segment. So when inspection has to be done in shallow water segments, one has to find a foreign service vendor who does this for deep sea and has specific equipment designed for the inspection, which is bulky as well as expensive. The operational logistics of importing the equipment and crew becomes complicated and time consuming," says Tanuj Jhunjhunwala, co-founder of Planys Technologies. The ROV built by them is essentially an underwater drone. The equipment, unlike the existing ones, is portable. It is small enough to fit in an Indian SUV to be taken to the location and launched to carry out the inspection. 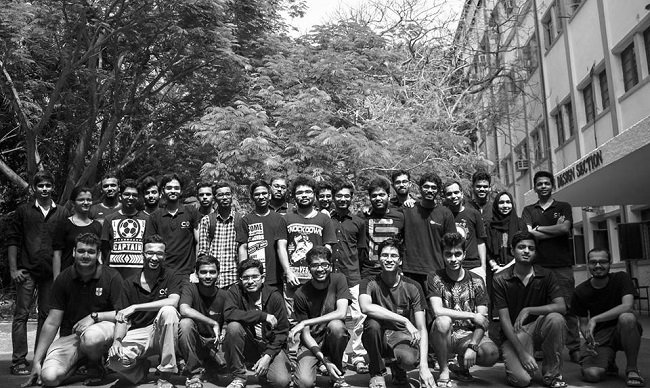 What started out as a contest for the best underwater vehicle in India built by students is now a startup founded by Tanuj Jhunjhunwala, Vineet Upadhyay, Rakesh Sirikonda, Dr. Prabhu Rajagopal and Prof. Krishnan Balasubramanian in 2012. It has built two ROVs, one in 2015 called Mike and one in January 2017 called Beluga. These have the ability to reach high depths. They have been built with a flexible form factor to reach inaccessible places. They have two full HD cameras, high intensity LED illumination for low light conditions and can reach depths of up to 200 meters. They have been built to carry out several functions underwater like ultrasonic thickness gauging, cleaning, acoustics and scientific survey and can give live and stable visual feedback to the surveyor. There are also sensors mounted on the ROV, which allow clients to collect data from the underwater rigs and plants. Planys doesn’t sell these ROVs. It provides them as a service, following a hardware-as-a-service business model. “We are open to selling it in the future, but the product is still maturing. It will take us maybe a year to bring it to a final architecture,” says Tanuj. Planys currently operates in sectors such as ports, offshore rigs and dams. It counts Vizag Port and Chennai Port as its clients. It also works with private players that have small private ports and terminals. Under the offshore sector, it has PSUs in Sinai as clients, for which tt carries out visual inspection and data collection of structures underwater. It is also working on checking dams for damages and repairs. It is currently working with DRIP, which is World Bank’s 300-dam project in India. But it’s not just underwater structures that present inspection challenges. Oil and gas, petrochemical, fertiliser industries have high structures that need to be inspected regularly. Shutdowns happen and scaffoldings are built, which are dangerous for humans to climb and carry out inspections. 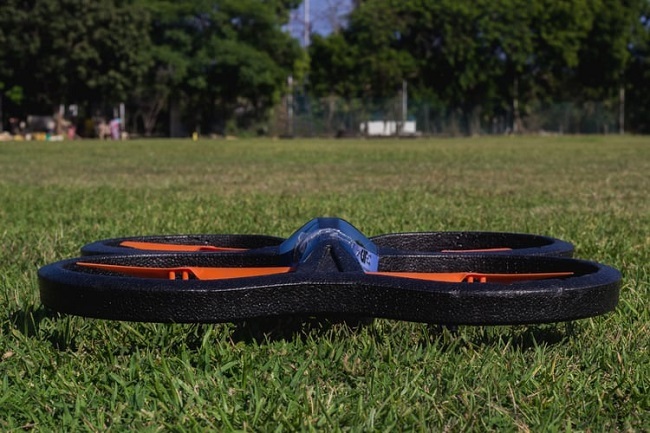 Another IIT Madras-based startup DeTect Technologies has a simple answer for this – drones. Daniel David, CEO of DeTect says that there are two major issues with this, one being safety and the other domain expertise. “They don’t have faith in drones flying and being safe, especially because winds are so high at such heights and could hit the asset, becoming counterproductive. Drone companies also don’t often have the domain expertise required to deal with inspections. All the founders of DeTect have a background in Nondestructive Testing (NDT), which is inspecting without harming the surface,” he adds. Having prior experience in the oil and gas structure with its first offering, DeTect has built drones and has automated the entire flight and even has mechanisms to pull it back. Through an algorithm it built, it can identify the areas of interests, corroded areas, hotspots, and critically, collect the data and give clients automated reports. The value addition it has from other drone companies is the fact that it not only automates the drone’s flight but also generates detailed reports. It has also created a proprietary technology to increase the accuracy of GPS systems on drones. “This opens up another market for us of internal inspections in boilers, stake inspections and more,” Daniel says. DeTect works with petrochemical, chloro-fluoro, and fertiliser industries. It counts companies such as Coromandel, Reliance, BPCL, HPCL among its clients. The business model of DeTect is also similar to that of Planys. Every time it is called for inspection, it charges for the service based on the number of days. However, some of its clients are on annual contracts where a team of DeTect sets up at the industry and goes whenever called in. Planys, on the other hand, charges based on the number of days the inspection takes. In some cases where it’s a big job that would take several days, it charges a lump sum amount. It also depends on the type of inspection. Only visual inspection may cost lesser than if data collection is also involved. Complexity of the project too plays a role. Its first ROV, Mike has clocked over 1,000 hours at sea. Tanuj says that they currently have an 80-90% product market fit and are looking at making more ROVs. The idea is to make four by the end of this fiscal and have a fleet of 25 in three to four years. It is also working on upgrading one of the ROVs for harsher weathers in offshore areas. While its focus will be on catering to clients in India for the year across sectors, it will then look at international markets. In the case of DeTect, Daniel says that the drone market is yet to stabilise. There are other players offering these services but lack the value addition that DeTect has. It is now working on acquiring as much reputation as possible in India while simultaneously getting international clients. In fact, DeTect’s other major focus is its first invention – the first sensor in the world that can monitor the thickness of pipelines till temperatures as high as 350 degree Celsius. It has developed a complete system that sits on the pipeline with IoT capabilities, which directly sends reports to the cloud and at a low cost. This also solves a similar problem for industries that have long pipelines. While they are the greatest assets, they are also the greatest danger due to the leakages that cause environmental damage, huge losses and lead to safety issues. And there is no technology that can measure the thickness of these pipelines at high temperatures. The scope for these startups is immense, especially given that they have developed cutting edge technology that isn’t otherwise available. Even in terms of growing the business, with technology that saves companies lakhs of rupees, steady revenues will flow. In fact, Planys says that it is already generating good revenues and is confident of reaching an operational breakeven this year.